I recently read your post “Diana+ Camera Review”. I am curious as to your workflow for getting the shots from the film to the computer. Is there anyway you can share that with me? I am interested in shooting with the Diana, but am a little uninformed when it comes to medium format film. I get the film developed at a local photography store — most places will be able to process 120 format film (it’s still pretty standard stuff). Actually, I should say that most places will do C-41 (color negative) processing of 120 film. Slide film and b/w film are a little harder to find developers for. I just have them “develop only” — meaning no prints and no cuts. Then I cut them into the appropriate lengths and run them through my scanner (CanoScan 8400F) as full resolution TIF files. Then I just treat those files like RAW files and process them through Bridge/ACR or Photoshop if needed. If you don’t have a scanner (and if you don’t want to invest in one), most places that develop film also offer film scanning. The resolution will be somewhat low, but certainly large enough for web display. So really, you shouldn’t shy away from 120 format film just because it’s “medium format”. You just need to find a place that has the right equipment to handle it. Call around and ask them if they can develop 120 film, if they can process E-6 or b/w, if they do cross processing (E-6 as C-41), if they offer film scanning, and at what resolution. But I wanted to expand on this topic and broaden the scope to finding a film developer that will suit your needs. Once you locate some local places that claim to develop film (by Google Maps, Yellow Pages, etc), you’ll want to call around and find out if they can do what you need. Here are some things to ask potential film developers, depending on your current or future needs. CAN YOU PROCESS 35MM AND 120 FILM? 35mm is the most common film format, but 120 is also very common. Most places will be capable of developing both of these formats. WHAT OTHER FORMATS CAN YOU PROCESS? Formats like 110, 220, 240, large formats, and others are less common, but still used. If you use a less common film format, you’ll want to find somebody that can deal with it. And find out if they can do it in-house — some places will claim they can develop these formats, but they really just send them off to a different lab. If you don’t want prints from these formats, be sure to ask if they could develop only — they may just be lacking the film holders for doing prints. CAN YOU PROCESS BLACK & WHITE FILM? I’ve seen places handle b/w in two different ways: send it off to a pro-lab or do it by hand themselves. Black & white film developing is usually done by hand, so not too many places offer this service. The alternative option is to get the chemicals and do it yourself. CAN YOU PROCESS SLIDE FILM? 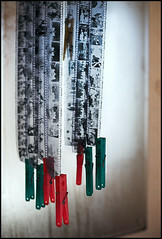 Slide film has to be processed differently than color negative film and b/w film. If you like slide film, make sure you can find somebody to develop it. Most places I’ve encountered will send slide film out to pro-labs. WILL YOU CROSS PROCESS SLIDE FILM? Cross processing slide film as color negative film can be very interesting, but not all developers will do this for you. The slide film will alter the chemistry in the developer, so not everybody is willing to do this. Typically places with higher volume and more knowledgeable staff will be willing to do this. DO YOU SCAN FILM? AND HOW LARGE? Most places will offer some sort of scanning capabilities. The resolution is typically around 1200 pixels on the long edge — so good enough for the web, but not for digital printing or stock uploads. DO YOU PRINT? HOW LARGE? AND WHAT PAPER? Prints are handy to have — but will you be needing anything larger than the standard 4×6? How about 20×30? Can they print on matte paper, photo paper, or canvas? It really only takes about 10-15 minutes to run a roll of color film, and most places will give you a 1-hour turnaround for one or two rolls. If they do b/w, you might have to wait until the next day. If this is a concern, ask them about prices before you even bring the film in. I usually go with develop only to help cut the cost from a bunch of prints (plus I scan everything myself). I pay $3.50 per roll of color and $4.50 per roll of b/w. I hope this helps address some questions that others may have about getting started with film photography. It’s really not scary, expensive, or difficult. Find yourself a knowledgeable film developer and they’ll take care of you. I ended up finding a great place just a few miles from my house. The guys at Foto Finish Digital can handle all my 35mm, 120, and 110 format films. They even do black & white and small quantities of cross processing for me. They can enlarge up to something like 30″ on a few different types of paper (though I still need to try this out with them). I’m totally happy that I found such a cool place nearby. This entry was posted in Film, Quick-Tip and tagged developer, Film, photography, questions, tips on September 8, 2008 by Brian Auer. If you’re really stuck for finding a developer and want to shoot a lot of film, try DIY. The initial investment is not too much (especially for b&w dev) and it is really quite easy. There are plenty of guides out there on how to do it if you can’t find someone who can show you. I understand that this isn’t always the best for people with a little less time on their hands, but if you can afford the time, DIY film developing offers you the fastest turnaround times at the lowest prices. C41 (colour) developing really isn’t so hard either. Apparently slide film dev isn’t so bad either, it just takes more chemicals. I’ve been going to Photographic Works in Tucson for my film developing and their prices are very reasonable and they develop almost anything. More importantly, since I went in the first time a couple months ago knowing nothing about film, they have always been very helpful and willing to share their knowledge. They seem excited when they get customers that are actually still using film. I was nervous about getting my film developed at a “pro” lab instead of Walgreens or similar, but it turned out to be better because they were so knowledgeable and friendly. Couple things about having the lab do your scanning. I took this route so I’d have images in time to enter the contest and I’m not real happy with the results. The scans I got back were pretty big (3089px × 2048px) but the colors seem off (my monitor is calibrated). My processor uses the minilab they process the film with to do their scanning, so the process is 100% automated. This is also why most won’t scan B&W film. The silver in the film emulsion is detected as noise by the automated noise reduction in the scanner and the images don’t come out. I eventually want to scan these on another scanner, but I was in a hurry (and I don’t own one right now). FWIW – a 36 exposure roll of E-6 developed and scanned cost me $16 in the Milwaukee area. A far cry from the $4 in California. Then again, the place I went is not know for its price competitiveness. Whoa! Those are expensive developing costs I’m seeing… Here we get regular film processed for Rs. 15 a roll (approx. USD $ 0.3) and professional developing comes to around Rs. 50-60 a roll (USD $1.1 to 1.3). Or at least that’s what it used to cost when I last shot film … around 2 years ago. Susheel… and you’re not shooting film because……… ??? Dude, if I could get a roll developed for under $1, I’d be shooting way more often. Then again, I’m still paying an average of $5 per fresh roll of film. Oh, and I’m reasonably sure that processing E6 in C41 chemicals won’t ruin the chemistry, but this is a common misconception and so most labs who have employees that aren’t well informed won’t do it. There are alternatives so check the Xpro groups on flickr if you’re having trouble. If you make friends with your local lab you might even get special deals. Often some expired film might make it my way, or an old film camera a customer gave them, or even free C41 developing….If you preference your local lab over ebay they’ll tend to reward you for your loyalty, if it’s an owner operated lab. They want your business! B/w really is easy to do – a roll or two only takes about 30 minutes of time once you have all the gear on hand…. I even have the dedicated Nikon Speedlight SB-17, all bought for the equivalent of a month’s salary back when I was working under somebody, 3 years ago! I haven’t seen Konica Centuria film on the shelves over here. My only experience with that film was a few rolls that The_Wolf_Brigade sent me a while back. Great stuff though. For prints, that usually varies slightly. Most of the time small prints (like 3-1/2 x 5 or 4 x 6) are available for around $0.30 each at the time of development. Reprints after the fact are a bit more. Not sure about the larger ones — I haven’t indulged in that yet. Those are great questions, Brian. I’d also ask if the store can support me in case I ask for a push or a pull on a film. In Costa Rica now and develoers are hard to find down here. Digital has taken over, but will never replace black and white film…. Very useful questions. Thanks, Brian.